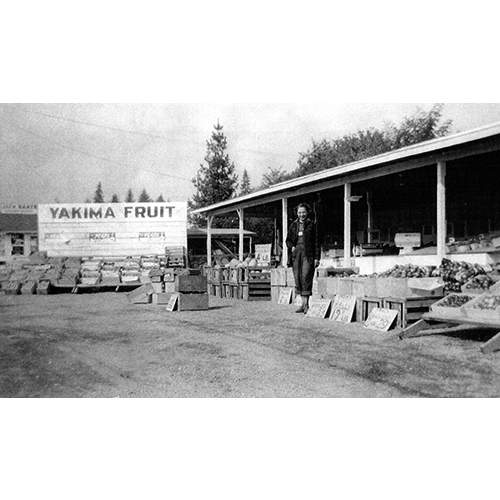 Ripe fruit is ready for customers in this 1940s view of Yakima Fruit Market, a branch of the popular Bothell market founded by Ken and Marie Lynch in 1922. The market was succeeded by J&J Fruit in 1949. The site is occupied in 2019 by Les Schwab Tire Company.